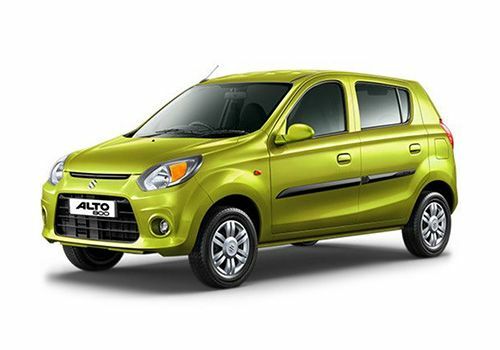 Maruti Alto 800 CNG LXI is a top end trim in this model series that has a well balanced quantity of comfort and safety features. This small hatchback has impressive exteriors along with some styling elements like chrome accentuated radiator grille, full wheel covers and bright tail lamps. The company has put in a lot of effort to make the interiors attractive as well. There are quite a number of aspects incorporated inside such as a powerful air conditioning unit, power steering wheel, front power windows with switches placed between the seats and many more such remarkable elements. On the other hand, it is powered by a 796cc petrol engine, which is capable of churning out 47.3bhp along with 69Nm torque. It is mated with an efficient five speed manual transmission gear box. The firm has also offered it with CNG option. This small car has a striking overall design, which is aerodynamic and very sleek. Starting with its front façade, there is a trendy radiator grille with some chrome elements, while a large company’s insignia is embossed on it. Surrounding this is a luminous head light cluster, which is powered by high intensity lamps and integrated with side turn blinkers as well. Below this is a well sculpted bumper in body color that is fitted with an airdam. The frontage also has a windscreen with a pair of intermittent wipers. Coming to the side profile, there are body colored pull type door handles and driver side outside rear view mirror. The wheel arches have a set of 12 inch steel wheels that are covered with tubeless radial tyres of size 145/80 R12. The rear profile has a large wind screen, radiant tail lamp cluster and a boot lid with company’s emblem and a body colored bumper. The interiors are done up in an attractive way in grey and brown color schemes, while the surfaces are made of good quality plastic. It has a well designed dashboard housing a few equipments. These include a glove box, air vents, instrument cluster, and a steering wheel as well. The central console has the air conditioner controls and other buttons, which have been integrated in it, while there is also a horizontally aligned bottle holder near the gear shift lever. The seating arrangement is quite comfortable with well cushioned seats that are covered with fabric upholstery. Besides these, the metallic accentuation on door handles, speedometer and fabric inserts on door trims further adds to its overall appearance. Apart from these, there are storage spaces in the doors as well to keep a few things handy for the occupants. The company has equipped it with a 0.8-litre petrol engine, which is also offered with CNG option. It comes with a displacement capacity of 796cc. This drive train has 3 cylinders, which further have been equipped with 12 valves. It has the capacity to churn out a peak power of 47.3bhp at 6000rpm and delivers torque of 69Nm at 3500rpm. This motor is paired with a five speed manual transmission gear box that distributes power to its front wheels. As per the ARAI certification, it can generate a healthy mileage of 22.74 kmpl when driven on the bigger roads. Meanwhile in the CNG mode, it gives an impressive mileage of 30.46 Km/Kg. It is fitted with a very proficient braking system wherein, the front wheels are equipped with solid discs, while the rear ones have drum brakes. On the other hand, its front axle is integrated with a gas filled McPherson strut along with the highly developed torsion roll controlling device. The rear axle gets a three link rigid axle along with an isolated trailing arm. These are also affixed with coil springs and gas filled shock absorbers. Besides these, it also comes with a power assisted steering column that simplifies maneuverability in all road conditions. It is installed with a powerful air conditioner unit, which cools the entire cabin quickly. There are only two front power windows for which the switches are placed between the front seats and behind the gear shift lever. There is an internally adjustable external rear view mirror only on the driver’s side. There are a couple of sun visors at front, while it has some storage spaces along with a large glove box. There is an odometer, dual tripmeter, and a fuel gauge as well. Aside from these, it has a digital clock in the speedometer display, a remote fuel lid opener, coin holder, assist grips, and floor carpet. This variant is bestowed with some essential safety features, which enhances the passenger security. The list includes seat, head light leveling device, high mounted stop lamp, and an engine immobilizer. In addition to these, it also a collapsible steering column and monocoque body construction, which adds to the safety quotient. 2. External design is appealing. 1. Engine pick-up and acceleration needs an improvement. 2. More styling elements can be added.